The Cat S41 uses an octa-core MediaTek Helio P20 (MT6757), which is also found in the "super mid-range" Sony Xperia XA1 and XA1 Ultra, though on the C41 the P20 is only accompanied with 3 GB RAM and 32 GB storage. The 5000 mAh battery is touted as providing up to 44 days standby, or 38 hours 3G talk time. Being a ruggedized phone, the phone is drop tested to 5 feet 9 inches on concrete in addition to having IP68 and MIL SPEC 810G ratings. In contrast to the S40's 540x960 display, the S41 has a 1080p LCD with Gorilla Glass 5. Frustratingly, the S41 retains a microUSB port for charging instead of adopting USB-C. This joins Cat's lineup of other ruggedized Android phones with niche features, such as the Cat S60 FLIR thermal imaging phone. The S41 is available immediately from the manufacturer website, as well as from Amazon, Best Buy, eBay, B&H, and The Home Depot. 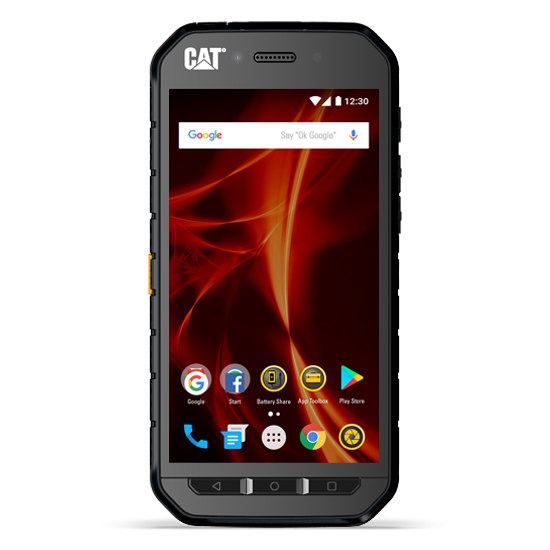 Cat phones introduces the Cat S41, a rugged and resilient smartphone with a massive and powerful battery, designed to keep users connected no matter what challenges the day presents. The Cat S41 is the successor to the Cat S40 smartphone and carries the legacy of the Caterpillar brand, well known for high quality and rugged reliability. 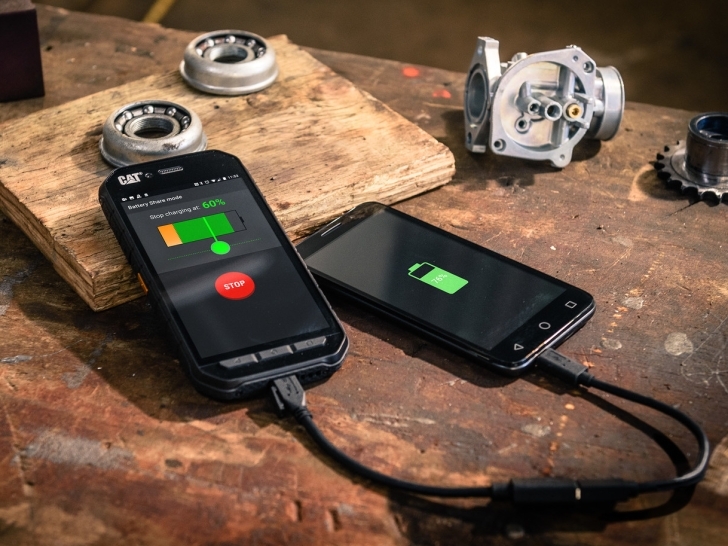 Running full Android capabilities, the Cat S41 is specifically engineered for consumers who work across a range of industries or pursue recreational activities that regularly put their smartphone at risk of damage including construction, forestry, agriculture, security and vehicle repair, as well as activities such as skiing, hiking, fishing, biking, home DIY and cooking. View the Cat S41 in action here. A massive 5000mAh battery forms the heart of the Cat S41, providing up to 38 hours 3G talk time and as much as 44 days standby. The Cat S41's Battery Share functionality allows the phone to serve as a power bank, easily charging other devices and accessories through an included USB Battery Share connector, while reserving a predetermined power level for the phone based on an easy-to-navigate in-app slider. In addition to its extended battery capabilities, the Cat S41 was designed to address key features most valued by customers. In a study of nearly 22,000 Cat phone users, 76 percent said a long battery life was essential, while 98 percent ranked it as a highly valued key feature. The survey also showed 76 percent of respondents have damaged their previous mobile phone, leading to 94 percent who consider drop proof a necessity, and another 71 percent who said a scratch resistant screen is essential. "The Cat S41 is an uncompromised smartphone specifically engineered and built for the tough environments in which our customers use their devices. Its rugged, shock, shatter, water and dust proof construction is built to address the needs of our customers and their unique lifestyles. Our research revealed that what Cat customers want most is a powerful rugged smartphone combined with a huge shareable battery - and the Cat S41 delivers all of that and more," said Peter Stephens, CEO of Bullitt Group, global mobile licensee for Caterpillar. The Cat S41 builds on Cat phones' legacy of creating rugged devices, with its heavy-duty credentials including IP68 water and dust proof, and MIL SPEC 810G. Like all Cat smartphones in the product suite, the Cat S41 is built to survive repeated drop tests onto concrete from up to 5 feet 9 inches, from every orientation. It is waterproof tested up to a depth of 6.5 feet for up to one hour, and able to withstand thermal shocks. Further, the Cat S41's large and bright five-inch, full HD display is protected by the latest scratch-resistant Corning® Gorilla® Glass 5, which can be read in direct sunlight with a touch screen, and can be controlled with wet fingers or when wearing gloves. The Cat S41 also has a camera that can be used underwater. The Cat S41 smartphone has an MSRP of $449 and is available to order online at http://www.catphones.com, as well as leading retailers including Amazon.com, BestBuy.com, eBay, The Home Depot and B&H. The Cat brand stands for trust, durability, reliability and quality. The Cat DNA is found in every Cat mobile phone and accessory offered by Bullitt Mobile Ltd. and provides boundless experience with robust mobility. Our products are created for wireless communication using the latest technology to meet a variety of needs of a demanding lifestyle and won't let you down. To find out more about what Cat phones and accessories are made of, visit http://www.catphones.com. Bullitt Group enables the world's leading brands to enter into rapid growth consumer technology categories creating broader appeal and new, long-term income streams in the process. Since its formation six years ago, Bullitt Group has designed, manufactured and distributed millions of mobile phones, audio products, other connected devices and related peripherals to more than 60 countries across the globe. Bullitt Group's Head Office is in Reading, England with additional office locations in Taipei (Taiwan), Shenzhen (China) and New York (USA). Follow us on Twitter and Instagram, like us on Facebook or visit http://www.bullitt-group.com to learn more.